Create, read, edit or convert Excel spreadsheets including XLS and XLSX formats. 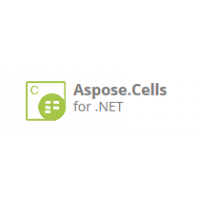 Aspose.Cells for C++ is a native C++ library that offers a set of high-level APIs for manipulating XLS and XLSX formats in the C++ language. It allows you to create, read, edit and convert Excel spreadsheets programmatically without relying on Office Automation or Microsoft Excel. Advanced C++ Excel Spreadsheet API Features - Aspose.Cells for C++ supports spreadsheet generation and other basic file formatting features. It also but also supports a number of advanced features. These advanced features make it much easier for developers to manipulate spreadsheet contents and format cells. Save and open Excel files to and from streams. Apply styles and formatting to beautify Excel worksheets or parts of worksheets. Apply data validation to restrict the type of data or the values that users enter. Filter data by using an AutoFilter and quickly find your desired values. Fine-tune the page setup in a few simple steps. Read and write complex formulae easily. Zero dependency on Microsoft Excel - Aspose.Cells for C++ does not need Microsoft Office or Microsoft Excel to be installed on the machine to work with Excel formats. Convert between XLS and XLSX formats - Converting from XLS to XLSX and from XLSX to XLS is easy. Despite the complexity of document conversions in C++, Aspose.Cells for C++ makes it possible for you to convert between XLS and XLSX formats in just two lines of code. Support For Office Open XML - Microsoft Office Excel 2007 and above store the spreadsheets in XLSX format. 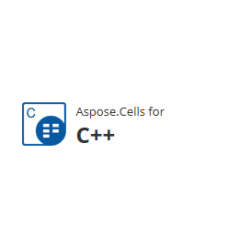 Aspose.Cells for C++ extensively supports creating, reading, manipulating and writing XLSX documents. Create and manage Excel Spreadsheets without requiring Microsoft Excel.Aspose.Cells for .NET is an E..